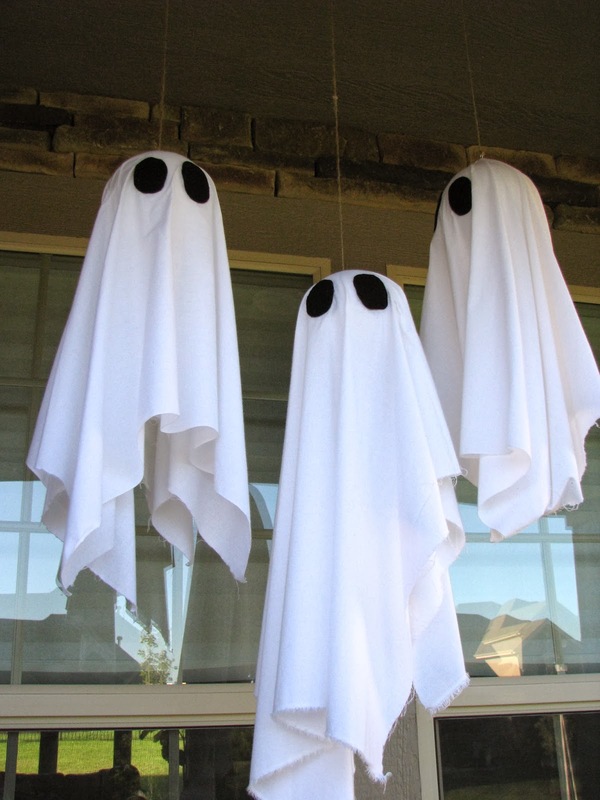 Last year, I made PB knock-off ghosts for our front porch out of styrofoam balls and cheesecloth. They stayed hung the entire month of October, so the twine and the eye hooks worked well to secure them. After Halloween, I tossed the cheesecloth (and whatever bugs lost their lives getting caught in it), and held on to the styrofoam balls and twine. This year, I decided to forego the cheesecloth. The cheesecloth looked great, with the black eyes peeking through, but every morning I was out reshaping and detangling it. This year, I decided to go ahead and use cheap, white muslin fabric and I am so much happier! I bought three yards of fabric for less than $2/yard (plus I used a 15% off total purchase coupon). Because the fabric didn't allow for the eyes to peek through, I simply cut six eyeballs out of black felt and hot glued them right to the fabric. I used the same twine and eye hooks from last year, so most of the work was already done. I poked a little hole through the top of the fabric to slide the twine through and actually glued the fabric down around the styrofoam ball to avoid it flying up and over. I used rubber cement for this and it has worked like a charm! I love how they add height to the porch and they look great when it is windy! Hopefully, I will be able to reuse all three ghosts (entirely) next year! They look great! I love this kind of decorating. 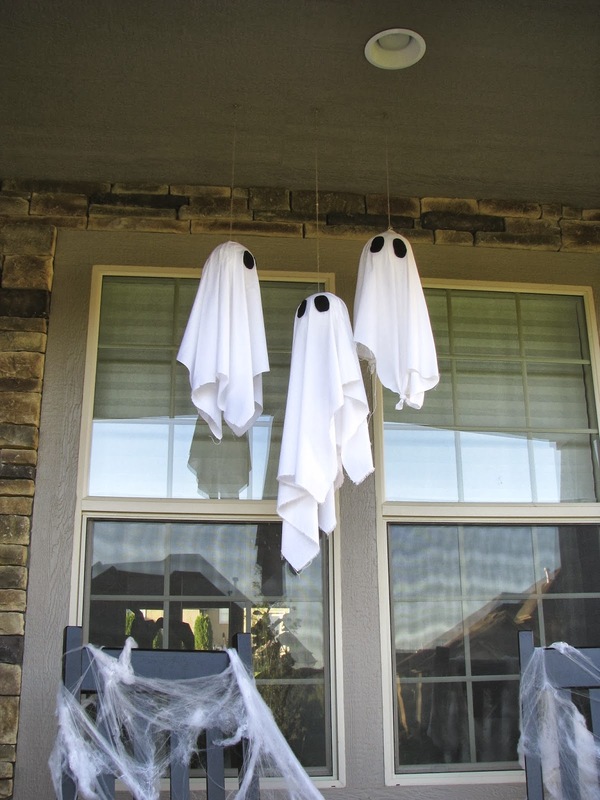 I've made cheesecloth ghosts before too, but I like yours so much better! Awesome job! Thanks Elise! The fabric is much less maintenance in these Kansas winds! !